MISSION ACCOMPLISHED! 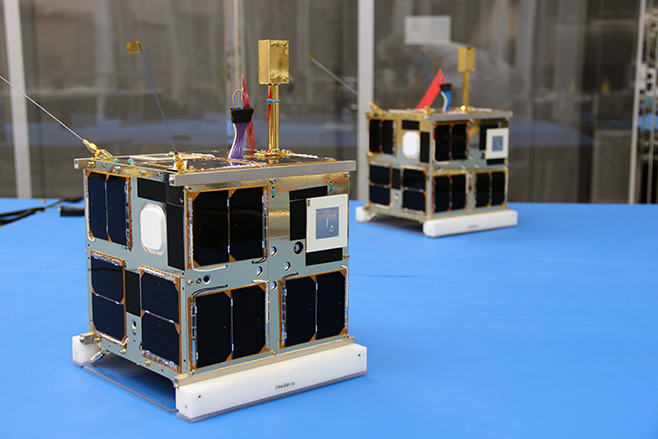 CanX-4 and CanX-5 are a pair of identical nanosatellites. Their primary mission: to demonstrate precise, autonomous on-orbit formation flying, and to do it at ultra low cost. 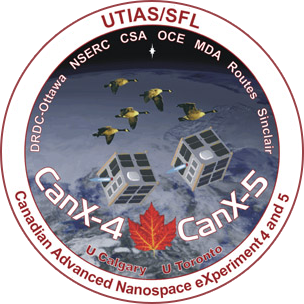 CanX-4 and CanX-5 were launched on 30 June 2014 and successfully accomplished their mission ahead of schedule in November of the same year. They demonstrated relative position determination to within a few centimeters by virtue of carrier-phase differential GPS measurements. Formations were achieved to better than one meter precision with the Canadian Nanosatellite Advanced Propulsion System (CNAPS), a cold-gas system developed at UTIAS/SFL. During the mission, the propulsion system exceeded all performance requirements with ample fuel leftover for an extended mission in the future. An SFL-developed inter-satellite link also outperformed requirements, allowing the two satellites to share position and attitude information to facilitate tight coordination. The data from the CanX-4 and CanX-5 mission will enable future operational formation flying missions involving sparse aperture sensing, ground moving target indication, precise geolocation, change detection, and other applications including on-orbit inspection. 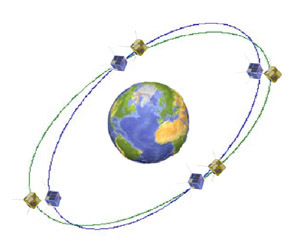 The on-orbit results of CanX-4/CanX-5 were independently verified by the German Aerospace Center, DLR, by analyzing the GPS residuals from the mission.